I love the holiday season! We’ve finally put up our tree over the weekend and we had a nice big snowstorm so everything looks pretty outside, all ready for Christmas! On Sunday we went to the Salon des métiers d’art de Montréal to buy our final Christmas presents. I like to give presents made by artists because that way I’m not only giving a beautiful, original gift but I’m supporting the artists at the same time! And contrary to many peoples believes, art doesn’t need to be expensive! Many artists create smaller pieces just for these occasions and if an original is out of your price range many artists sell limited edition prints. Even a framed greeting card can make a beautiful holiday gift! A good place for some last minute holiday shopping will be Viva Vida Art Gallery. This Saturday, December 21st,they are organizing a special holiday open house! Not only will you be able to enjoy the 5th annual small works exhibit: Small Art... BIG Deal, but there will also be holiday themed art workshops for kids and adults that you can participate in for only $5,-! I’m very much looking forward to the holiday themed direct transfers I’ll be doing and Heather Boyd will be there to teach you how to make your own holiday ornaments! Come out to see the art, buy some gifts or create your own! Enjoy an afternoon of art, creativity and holiday cheer at Viva Vida Art Gallery! What a great week this has been! 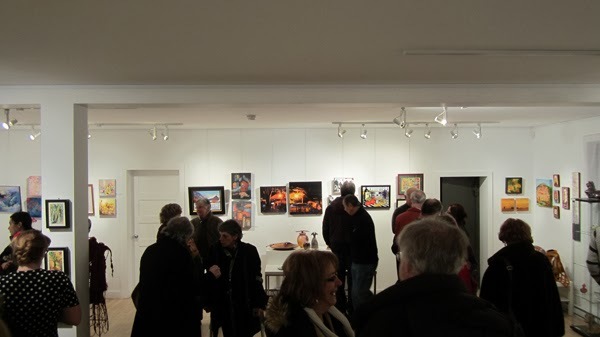 It all started out wonderfully with a great vernissage for the fifth annual Small works exhibit at Viva Vida Art Gallery (pictures and video here). I always love this one because of the variety of work that is being shown, it’s truly a show that has something for everyone! There’s pottery sculpture, glass, jewellery, prints and original artwork to be enjoyed and because they’re all small pieces the prices are perfect for holiday shopping! If you haven’t had a chance to see the show you should definitely drop by the gallery, it will be up until January 25th 2014 so plenty of time to go see it during the upcoming holiday season. A perfect opportunity do do this will be on Saturday December 21st when the gallery will have a special holiday open house! Not only will there be amazing affordable last minute shopping opportunities but there will also be holiday themed art workshops for kids and adults that you can participate in for only $5,-! I’ll be doing holiday themed direct transfers and Heather Boyd will be there to teach you how to make your own holiday ornaments! What better way to spend the first weekend of the holiday vacation! I am very happy to announce that I will again be part of the annual Small Works exhibit at Viva Vida Art Gallery. This is the fifth time this event will be organized and we’re all very excited about it. Every year this show gets better and better! I very much enjoy the variety of works that are available each year. And the fact that they are all small works as well as the great variety of boutique items the gallery offers, means that this is the perfect venue to get some holiday shopping done! I’m very much looking forward to the opening vernissage on Saturday December 7th from 7-10pm! 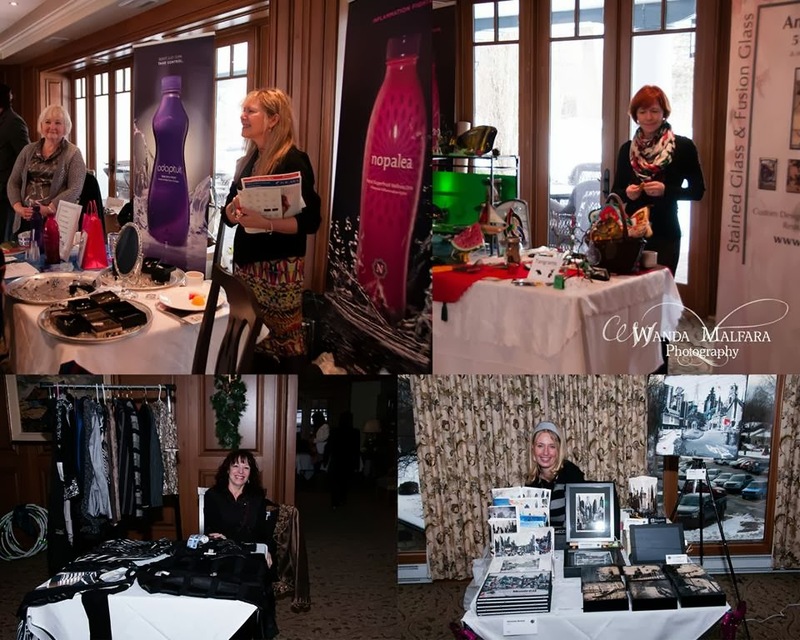 On Wednesday December 11th I’ll be participating in the We2 Holiday Networking Extravaganza. We2 (The Women’s Entrepreneurial Exchange) is an awesome networking group for women entrepreneurs in Montreal. Normally only women are allowed to attend their events but for the holiday season they open their doors to everybody! On Wednesday December 11th from 7:30 – 11:30 am everyone is invited to join us for a hot breakfast, some awesome networking and a chance to browse the We2 Annual Fair to find that great gift for that special someone! I’ll be there selling my art book, cards and prints and maybe i’ll even bring some originals! The event will be held at the Beaconsfield Golf Club, there is a $25,- entry fee to pay for your breakfast. If you are interested in joining us please RSVP here.